Weight will be held up by your hands and feet. Hands should be slightly wider than shoulder-width. Core is tight and back is flat. Lower yourself down keeping perfect form. 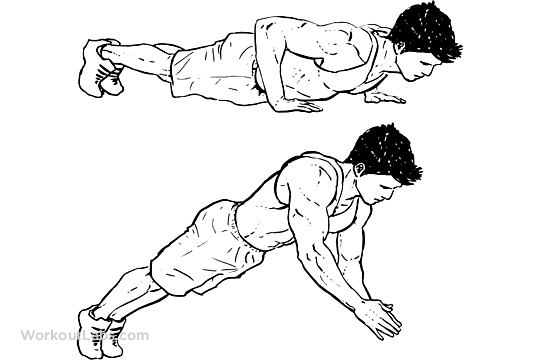 Explosively push yourself up, extending your elbows. While your hands are off the ground, clap them together. Return your hands to the ground just outside shoulder-width. Lower yourself back to the starting position.